If you live with unwanted hair on your back, legs, upper lip, or other areas, you may be surprised to find that you can find permanent relief to your problem through laser hair removal. Diode laser treatments are remarkable because they provide permanent hair reduction on large body areas with a minimum of discomfort. 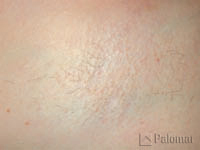 If you want to rid yourself of unwanted hair, ask Dr. Julie E. E. Kupersmith MD about laser hair removal in New Rochelle, New York. The heat of the laser damages the hair follicle to non-invasively remove unwanted hair and inhibit future hair growth. 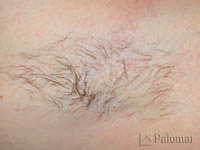 Laser hair removal is efficient for most areas of the body. With the Palomar Vectus System, clients have experienced superior results after only a few treatments. Many different areas of the body can be treated with laser hair reduction, including the face, neck, arms, legs, chest, back, axillae, and bikini line. Laser treatments are exponentially more effective than such temporary solutions as shaving, waxing and using depilatories. They also have the flexibility to provide varied hair removal treatments on different types of skin and hair. For more details on hair reduction and to schedule an appointment with our cosmetic surgeon, please contact our office today.